Does the name Nick Haddow or Matthew Evans ring a bell? You are likely to have heard them on the fantastic Gourmet Farmer TV show. Well now you can get your very own taste of their passion – surprisingly under a staircase. 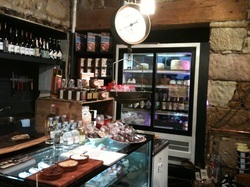 A cupboard under the stairs packed with Tasmanian artisan produce hand selected by the two of them! It's cosily hidden away in the Salamanca Arts Centre. 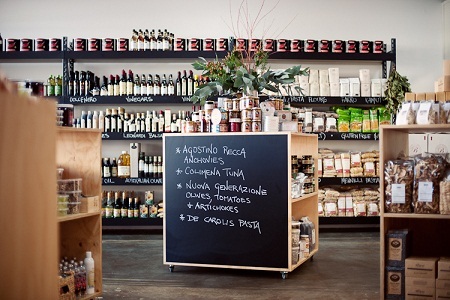 You'll find 'real food' and plenty of it, ranging from Bruny Island cheese to beautiful Tasmanian wines. Nudge your way through the others eager to get their fill from the land and from local artisans. While you're in there find out what Matthew and Nick get up to - there's far more secrets in store once you get under the stairs. This gem is located in the heart of Hobart and offers everything a foodie could need! (Plus 25% off their entire cheese range when you mention Tailored Tasmania!) 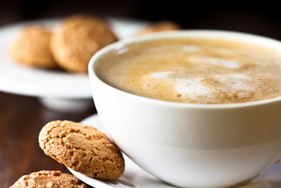 Stop in for delicious coffee, or a cheese platter and glass of wine if you fancy. Plus bottega rotolo offer cooking classes that are drawing locals and visitors promptly through the door. You'll enjoy a night that not only includes cooking and learning, but also the chance to taste all the dishes while sipping on a glass of wine. Classes are small and intimate, which means you get the full kitchen experience, in fact you'll be sitting right in the middle of one. The Hill Street story is one of pride and hard work. 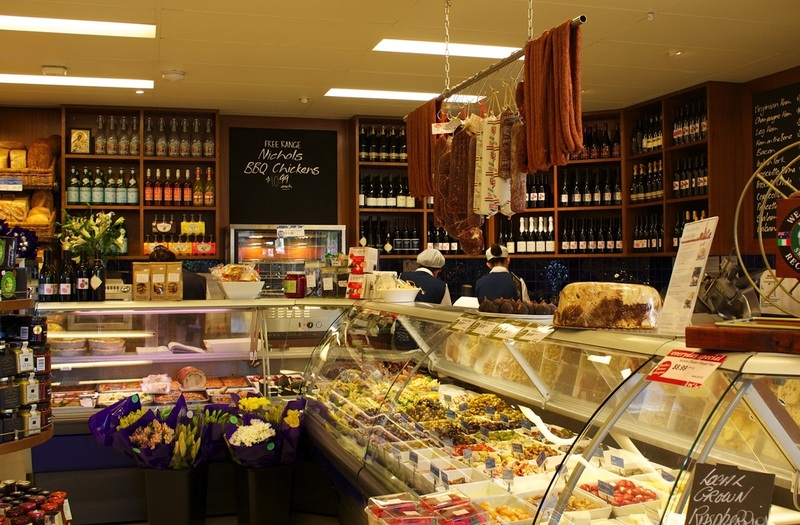 This gourmet grocery store specialises in the best of everything - from the freshest fruit and vegetables, premium deli goods, locally grown free-range meat and dairy products, and specialist breads and cakes - you’re unlikely to find a range like this anywhere else. Hill Street works to source the majority of its produce locally, supporting the local growers and producers within the community. This local focus allows for a direct positive impact on both communities and the environment. In addition to its three existing locations, Hill Street also gives its customers the opportunity to shop online with the option of either collection from the New Town store or delivery to your door. 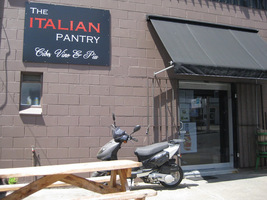 The Italian Pantry is a one stop shop for all Italian food & wines. They have over 2200 products from all regions of Italy. What's more the Italian food and wine retail supplier has a cafe open Monday to Saturday and a dinner trattoria style on Friday nights! Plus, the Italian Pantry offer fantastic cooking classes such as the Dolce Fatto a Mano class, where you can learn how to create these sweet treats at home. To register simply call 6231 2788 or email helen@italianpantry.com.au. So, as you can see there are plenty of reasons to visit the Italian Pantry, whether it's for a coffee, a quick grocery shop, a fine Friday night dinner or a specialised cooking class. All in the one place- not bad! For 17 years John and Rena Fiotakis have worked on the principal that great food, a great selection and great service are the elements of a succesful business. They seek out products that will fire your imagination, challenge your tastes and help you turn dinner into a gourmet delight. With a fantastic selection of local and imported premium quality food and fine Tasmanian wines, Lipscombe Larder is one of the best! Our bread is hand crafted in our kitchens by our in-house bakers. Our pastry chefs make our tempting sweet temptations. Our award winning team of chefs also prepare our daily gourmet hot takeways and pre-prepared take home dinners. At farm gate market we believe that there are five vital ingredients that are the foundation of our market: Fresh – the goods are so fresh they are picked the night before and delivered straight to the market each Sunday. 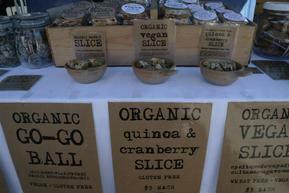 Local – everything sold must be grown or produced within Tasmania. Seasonal – strict guidelines on the origin of food means that eating seasonally is the norm. Size matters – the market is about supporting small, boutique and artisan businesses. Community – only the people that grow, raise, produce, extract or even pluck the goods for sale can trade. That means that the producer could in fact be your neighbour… now that’s a relationship! Vines & Designs offers the local community and tourists the opportunity to sample many wines from our south-east region in one place and purchase them at cellar door prices. 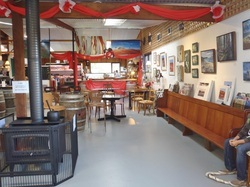 We also showcase and sell a selection of Tasmanian made gourmet pantry and deli goods, quality art and craft such as jewellery, sculpture, mosaic, ceramics, gift cards, paintings, drawings, glass work, pewter and many other items supplied by local artisans. Come and watch an artist at work on Friday and Sunday mornings while you wander around our offerings and taste our wine. We also provide light meals in a specially licensed environment and offer Van Dieman beers and Two Metre Tall ciders among other wonderful Tasmanian drops. A deli, a butcher/charcuterie, a catering kitchen, a cooking school and a premium wine and cheese shop, all under one roof in the heart of Hobart’s Salamanca. At Wursthaus Kitchen we stock only the highest quality local and imported products. If you appreciate fine food and wine, this is your one-stop shop. Fertile soil and pure rainfall from the cleanest air on earth are two of the elements that help to create Tasmania’s renowned fresh, natural produce. Choose from the best the state has to offer. 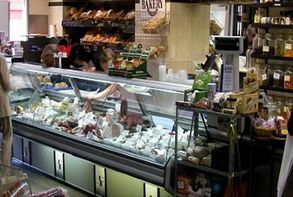 Alongside our local food is a comprehensive range of imported items. These are carefully selected. Our experience is your guarantee.